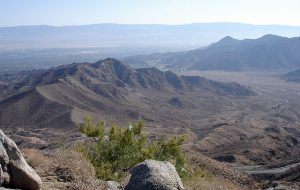 The Agua Caliente Band of Cahuilla Indians have called the Coachella Valley, a desert that receives a paltry three to five inches of rain a year, home for centuries. And the tribe has been anxious about the state of the water supply for years. In 2013, the tribe sued the Coachella Valley Water District and Desert Water Agency to halt groundwater pumping. And in March 2017, the U.S. 9th Circuit Court of Appeals delivered a major victory to the tribe. The court said the tribe has legal rights to the groundwater — a decision that could restrict housing and resort development and set a precedent for water disputes between tribes and utilities across the West. The 9th Circuit’s ruling is “a big deal,” says Monte Mills, co-director of University of Montana’s Indian law clinic and one of 11 professors who penned a brief supporting the tribe’s claims. It’s the first time a federal appellate court has unequivocally recognized that tribes’ water rights extend to groundwater. What should a community do to protect its immigrants? I'm a Colorado-based journalist who writes on the environment, and also an environmental communications and journalism instructor at Colorado State University. My work has been published by High Country News, Audubon, Slate, Hakai, Yale Environment 360, Pacific Standard, Nature Conservancy, and many other publications.